If you're looking for a "flavor" to add a menthol taste/feel to your juice...this is it. BUT, it is VERY powerful. For those of you who use the standard vaping calculators to mix your juice, using this at 1% of flavor ruins whatever you make. You'll taste nothing other than this - it's that powerful. At 1%, you'll feel like your vaping the liquid from an Icelandic glacier with no other flavors noticed... I used Pear at 25% and this at 1% and all I got was just an ice cold vape. The Pear wasn't even SLIGHTLY noticeable. The Pear flavor was non-existent. Why did I give it 5 stars?? It does what you expect and much, much more! 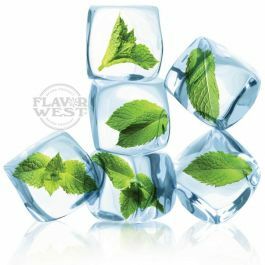 The difficult part will be formulating an eliquid to utilize this in such a way that you get the benefit of its menthol qualities AND also enjoying the flavor that it accompanies. Use Extreme Ice with EXTREME caution when mixing your juice. A little goes a LONG way. Some people love this as an add on to their Menthol !